Proud to be rated 5 out of 5 stars by our parents! Once you enter the doors of Zadie’s Nurturing Den, an overwhelming sense of being at home overtakes you. From the colors on the wall to our clean, modern, and spacious facility, you’ll know you’ve come to the right place. Zadie’s Nurturing Den is one of a trio of centers created by Elzadie “Zadie” Smith 20 years ago when she found herself thousands of miles away from her extended family members with three children and a traveling husband. She understood that a work-life balance greatly depended on a strong, dedicated support system. And because it did not exist for her, she created it. During your tour, you will notice that our teacher/child ratios are low and every interaction is rooted in preparing our little ones for school readiness. We tailor our approach and service offerings to the unique needs of families and children. By understanding the distinctive needs of parents, we’ve designed a program that engages both the child and their parent(s). We focus on nurturing and preparing our little ones for a successful transition after Zadie’s by fostering positive behaviors with enriching educational opportunities. We understand that work does not always end on time, meetings run late, and life happens. That’s why we’ve built safety nets into our service offerings to ensure that parents have the flexibility to pursue their personal and/or professional goals while their little ones remain safely in our care. As we walked around Zadie’s for the first time, no matter what room we passed, Tameka knew all the kids’ names. All the teachers knew ALL of the kids’ names. It struck us as very warm and familial — exactly what we were looking for. I was blown away by Zadie’s the first time I saw it. It was clean. It was modern. And there’s incredibly low staff turnover — the caregiver for my oldest daughter took care of my youngest daughter as well. I can’t even begin to describe how amazing Zadie’s is. I toured other places, but when I went to Zadie’s, I cried. It was just so different, so full of life and joy and color. Now they’re like family. A lot of Zadie’s caregivers are mothers themselves. They’re working from personal experience, which I love. Academically, Zadie’s standards are very high. But for me, it’s the nurturing aspect — the way they love and teach the children. My children are in this place that they love so all it’s worth it. The fact that they’ve been around for 25 years speaks volumes about Zadie’s and their intuitive approach to quality childcare. Zadie’s parents get real peace of mind. In an industry saturated in mediocrity, it’s tremendous to find people who are a beacon of what childcare should be. I think of Zadie’s like a parent who wants only the best for every child they care for. I’m so thankful that we found them. Zadie’s of the Oranges was my first experience with daycare. The center was beautiful, everyone was always smiling. Parents were always happy, so I knew the children must be, too. The first week returning to work was the hardest. But I felt totally 100% focused on my job until it was time to pick up my son. 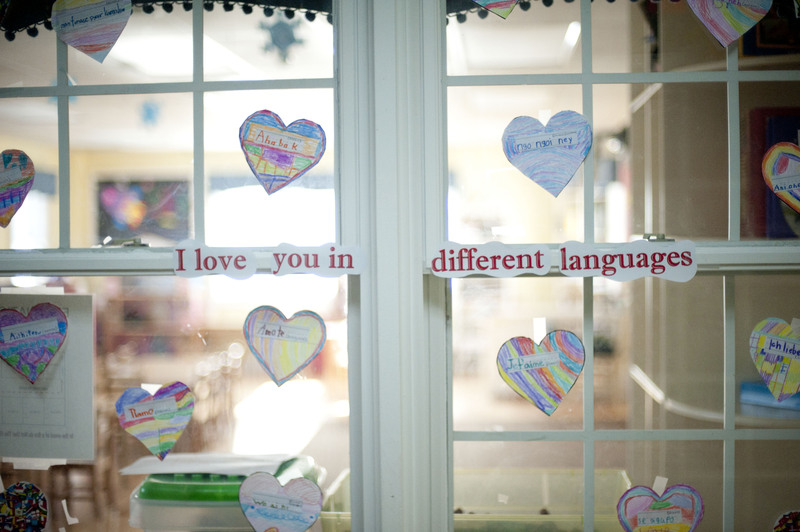 It’s been such a nice, positive experience — so much more than just a daycare center. I always say that Zadie’s taught me how to be a mom. They held my hand, listened to my fears and always knew what was important to us. We are partners, and I feel very grateful that I found them.